A week back i had great plans for Valentine’s day; i wanted to cook something special for my better half. A minor accident in the kitchen put a damper on my plans. So i had to reconcile myself to making something very simple. 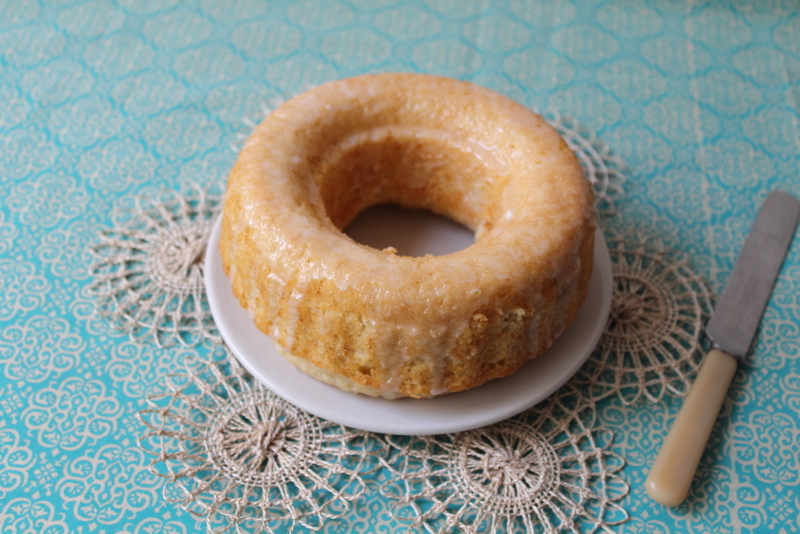 After a little bit of search I decided to make Lemon Yogurt Cake which has been adapted from Martha Stewart Living (Orange Yogurt Cake). It requires no beating of eggs or creaming of butter …Just simple mixing of all the ingredients.With prep time of less than 10 minutes, this has to be one of the easiest cakes to make. 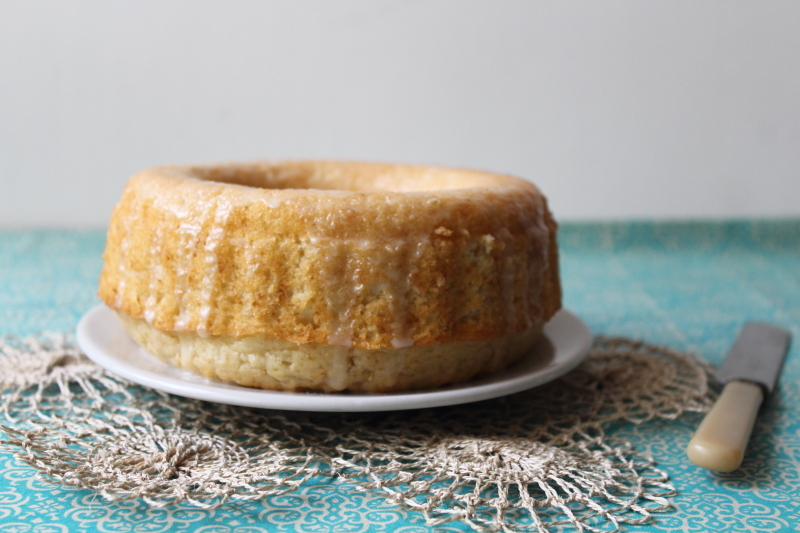 If you have a palette for tangy taste, you can add the lemon glaze which makes the cake moist and gives it a nice flavour.My husband, son and i loved the tangy flavour but friend said she would have preferred it with a little less of tang. So adjust the glaze depending on your preference. Add flour, sugar, baking powder, baking soda & salt to a bowl and mix well. Now add yogurt, oil, lemon zest and juice, egg, and vanilla essence to the dry ingredients and mix well. Pour into a greased pan and bake for 30 minutes or until done. Cool the cake and remove it from the pan. Combine the icing sugar and lime juice well to make the lemon glaze. Add more sugar or juice to get the desired consistency.